Bobbie Gentry - "The Girl From Chickasaw County - The Complete Capitol Masters"
Bobbie is notable as one of the first female country artists to compose and produce her own material. 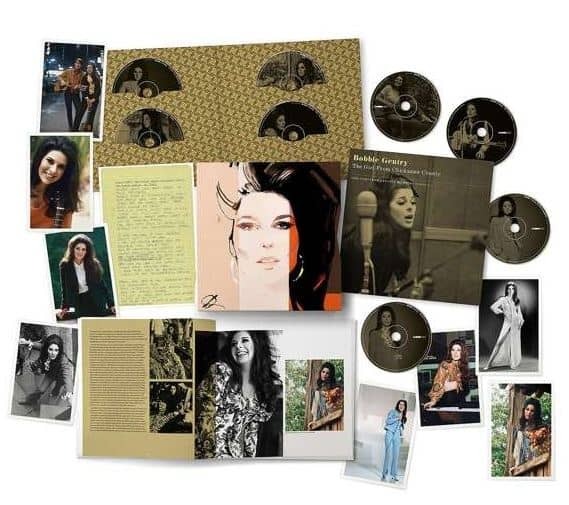 This Capitol years boxset will consist of 8CDs, this is the first ever large-scale retrospective containing the first UK reissues of her albums in their entirety - supplemented by 76 previously unreleased demos, outtakes and alternate takes from all Bobbie's Capitol albums. 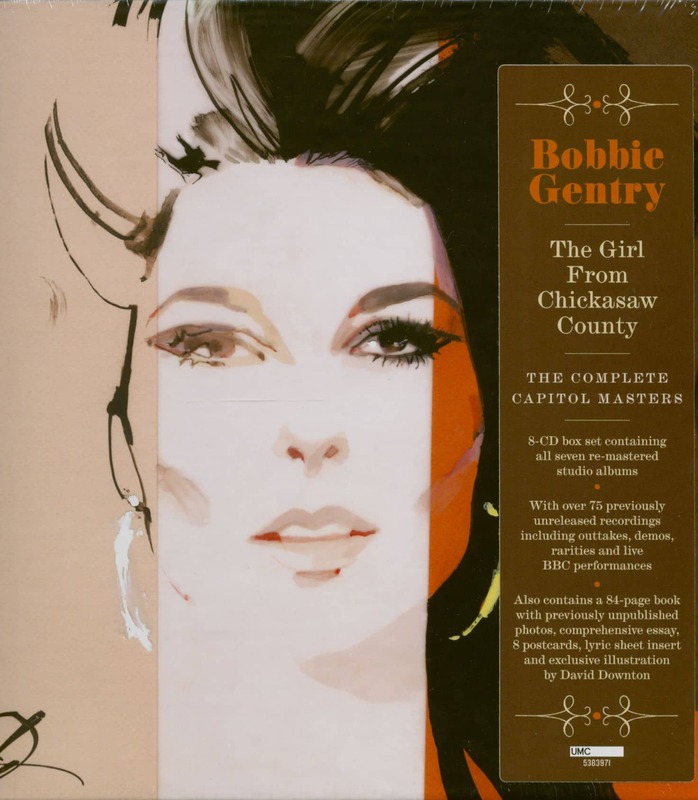 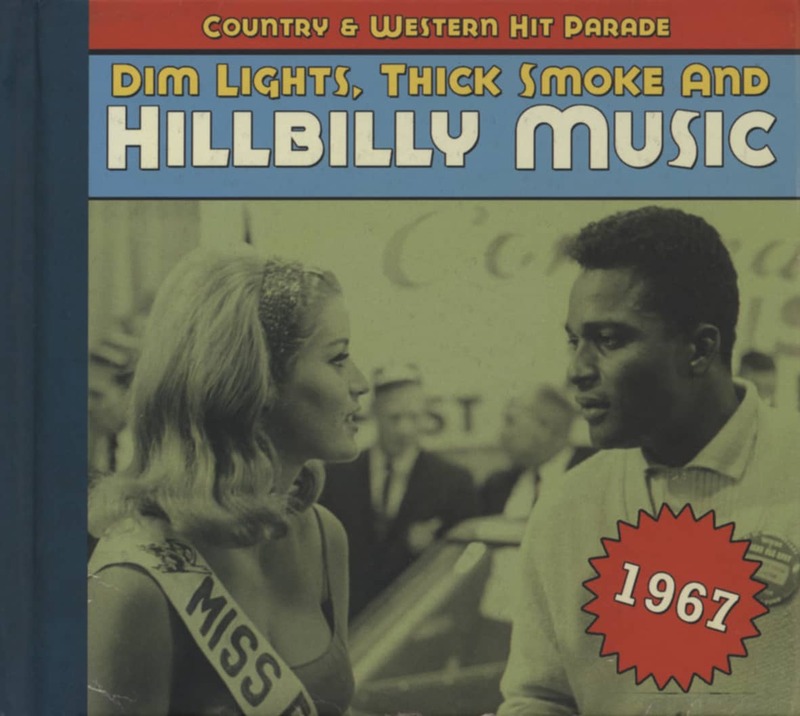 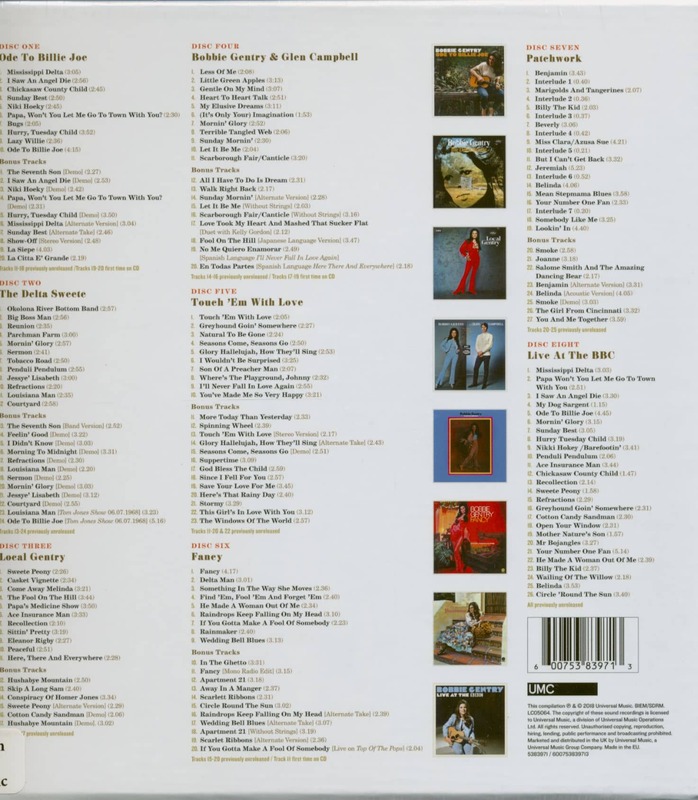 Customer evaluation for "The Girl From Chickasaw County: The Complete Capitol Masters (8-CD)"